Many varieties are cold hardy to -10F (- 33C) when well rooted in the garden. Work an organic fertilizer into the soil prior to setting out seedlings or sets. Beet, Lettuce, Potatoes, Thyme and Chives. Often planted with mound-forming herbs. Start seeds indoors in late winter to early spring when growing cold-hardy bunching varieties. Or, plant large sets close together and harvest the plants when young. 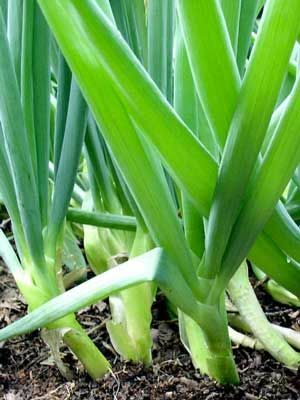 Any immature onion can be eaten as a green onion, or scallion. Pull individual plants as you need them in the kitchen. With perennial bunching varieties, lift clumps in spring or fall and replant some of the divisions. Slugs often chew holes in onion leaves in wet weather.